As with all things, there must be a beginning. For me, the first step is the structure of this site and getting things up and running. I have already been working on the Vanagon, and will get to that build in the next post. But here, now, I want to quickly tell you a little about me, this site, and what the end goal is here. At the end of 2011 I purchased my first VW Vanagon. It was not necessarily what I set out to find, but rather the right size at the right price at the right time. I had been scouring the internet for an affordable van that I thought would be big enough to house me and my possessions for a year or so. I had it in my head that I would ship off from Portland Oregon in my tiny craft and see what all the United States had to offer. When I came across a beat up old VW Vanagon for $800, I figured it would be good as any other option. 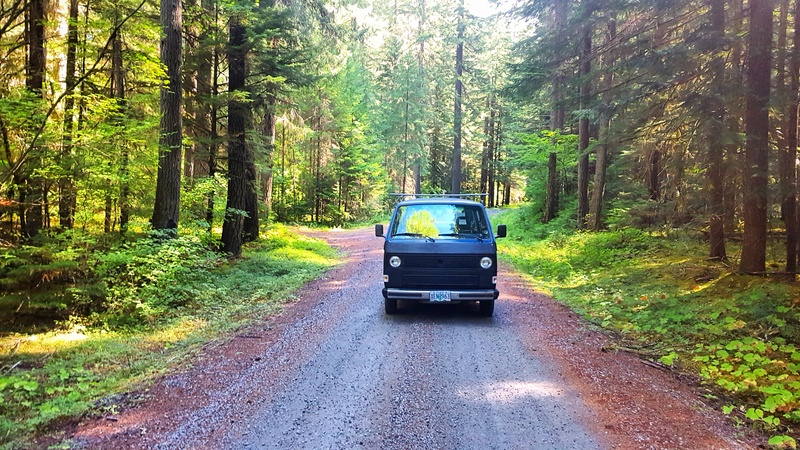 I didn’t realize at that time how much the Vanagon would bring to the table in terms of adventure, love, and culture. At some point I will talk more about that journey, but this blog isn’t about what happened years ago, it is about what is happening now and in the years to follow. Despite considering myself to be an environmentalist, the ownership and subsequent movement of myself and this van, might say otherwise. To that point, here is my defense, and why I think I have – and strive to decrease – my footprint. There are many aspects to one’s global footprint, including things such as consumption habits, diet, and fossil fuel usage. My possessions are few, and often decreasing through my constant purging process. I believe the less we stuff we have, the more room we have for life. My diet, while not vegan at the moment, is definitely centered on the belief that meat is not necessary (aside from being a huge environmental burden, it is also often cruel). Then there is the fossil fuel situation. While the van does run on gasoline, living in it, or other small spaces, means less need for dirty electricity or natural gas. The van is soon to be equipped with solar panels, allowing me to charge all electronics with renewable energy.